"Double, double, toil and trouble; Fire burn, and caldron bubble. Fillet of a fenny snake, In the caldron boil and bake!" 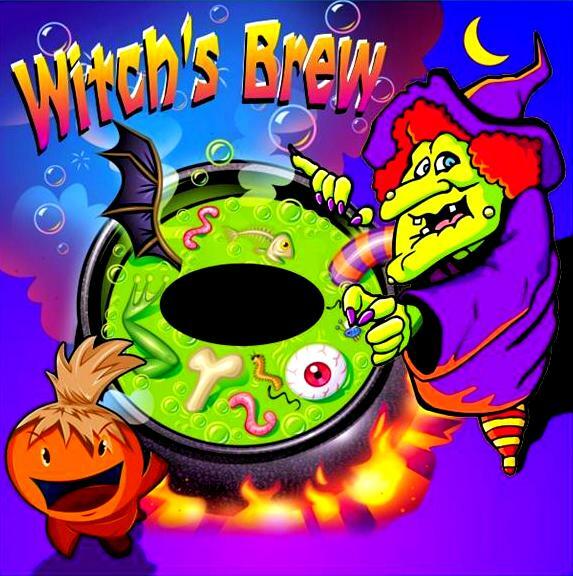 Stir up fun at your next Halloween party! 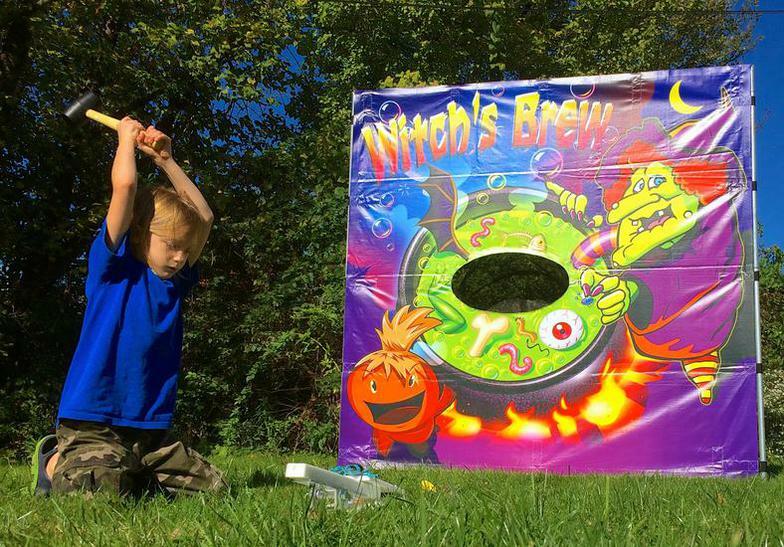 Witch's Brew is a 7'x7' game that uses a catapult and hammer to launch the creepy, crawly ingredients into the witch's cauldron. Game is picked up at our warehouse in Muskogee between 8:00am-9:00am and returned the same day between 7:00pm-8:00pm. Delivery Price is for a 5 hour rental. You select the time you would like the game ready, we deliver and set it up before that set time, and then come back to take it down after your event is over. Rentals for longer than 5 hours, additional fees apply. Delivery price subject to specific areas. Click below to receive instant price quote! $10 non-refundable deposit required at time of booking per game. Deposit must be paid with credit card. Remaining balance due at delivery. We accept cash, Visa, Mastercard, & Discover.